At SmileArts Dental Studio in Oklahoma City, our talented team of dental professionals provides personalized care to meet the unique needs of each patient. Whether you’re seeking a brighter smile, or want to achieve straighter teeth, we’re here to provide you with quality cosmetic treatment options. Contact our office today for an aesthetic dentistry consultation! These treatments can be performed separately for minor concerns or used in combination to provide a comprehensive smile makeover. Composite bonding: Composite bonding is the process of permanently affixing tooth-colored resin to natural teeth for minor cosmetic concerns, such as a chipped tooth, gaps between teeth, or unevenly sized teeth. Implant restorations: For patients tired of ill-fitting dentures or the hassle of missing teeth, we offer implant treatment. Our team works with a specialist for the dental surgery component of your treatment plan and affixes your new, life-like dental restorations in-office. Implant restorations are ideal for single or multiple teeth replacements. Teeth whitening: With in-office and take-home teeth whitening options, you can achieve a brighter smile in a method that accommodates your schedule and your lifestyle. Feel free to inquire about the various whitening methods we offer to see which works best for you. 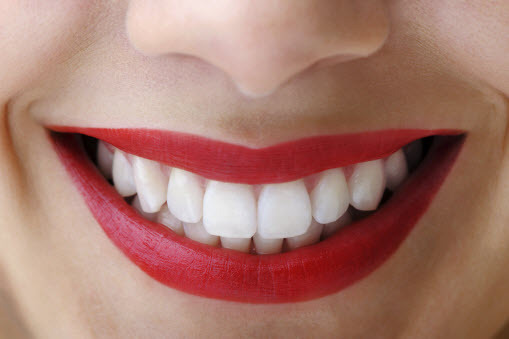 Porcelain veneers: Veneers transform patients’ smiles in just a few office visits. These thin layers of porcelain fit over natural teeth and are bonded for a permanent treatment that helps close small gaps, address misalignment, and brightens stained teeth. If you’re seeking minor or noticeable changes in the appearance of your smile, our skilled staff is here to discuss your options and provide recommended treatment methods to achieve your desired results. Call SmileArts Dental Studio today to schedule your consultation!